Hi-Knowledge is a web portal dedicated to scientific data visualisation, commissioned by Freie Universität Berlin. The idea is to offer an interactive navigation between several “nodes” of information, visualizing hierarchies and data in an engaging and interactive way. Massive amounts of data and other information are in principle available to us almost anywhere and instantly, but most of them are in practice hidden and inaccessible. Hi-Knowledge tackles this challenge. It is a novel online tool that structures information in a unique way, thus making it accessible to science and society. It will allow scientists to perform instantaneous synthetic analyses (meta-analyses sensu lato) tailored to their specific needs. Currently, meta-analyses and other syntheses of research data are either unavailable for a given topic or are outdated shortly after publication. 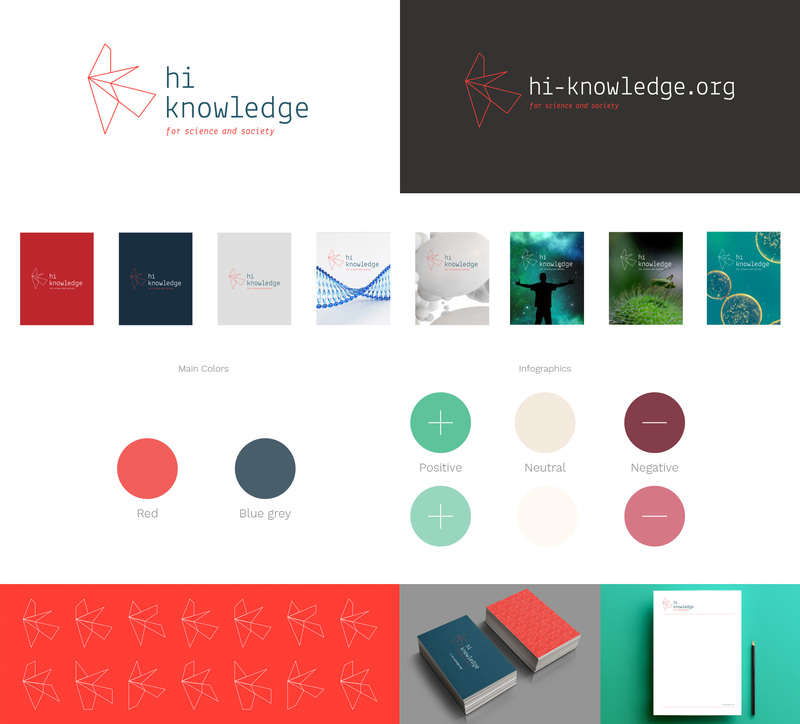 Hi-Knowledge is also for policy makers, managers, teachers and students, as it uniquely structures available scientific information in a readily accessible way. For instance, it will provide a continuously updated overview of scientific hypotheses and their degree of empirical support. Such knowledge is vital for science and society. Academic contribution: Jonathan Jeschke, Freie Universität Berlin, Biology department. A dynamic logo and a versatile color palette. Short animation showing how to use the tool.